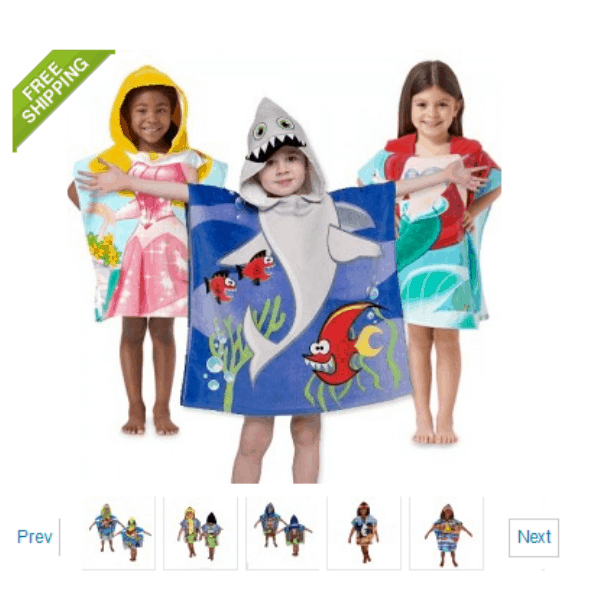 Northpoint Kids 100% Cotton Hooded Towel for Boys & Girls ONLY $9.99 + FREE Shipping! You are here: Home / Great Deals / Northpoint Kids 100% Cotton Hooded Towel for Boys & Girls ONLY $9.99 + FREE Shipping! How cute are these! Your kids will love drying off with one of these fun Northpoint Kids 100% Cotton Hooded Towel for Boys & Girls, which are ONLY $9.99 + FREE Shipping!